Q. Where is your home port? I have been living in a small town called Macungie, PA - which I truly love. at home when I'm on the road. Q. How did you get started in your musical career? Drafting. That didn't go over well. Q. How long have you been in this business? go full time until after my divorce in 1982, which would be 24 years. Q. Who or what influenced your music the most? band was musical boot camp. Everyone on the band was schooled and seasoned. jobs. I still maintain the bass. THAT opened up the entire playing field. Q. What type venue do you prefer? says, "Shhhh, they're talking." Go figure. As a solo, that was murder. again and working and creating with the band members. and record something worth listening to for a long time. Q. How many CDs do you have to your credit? 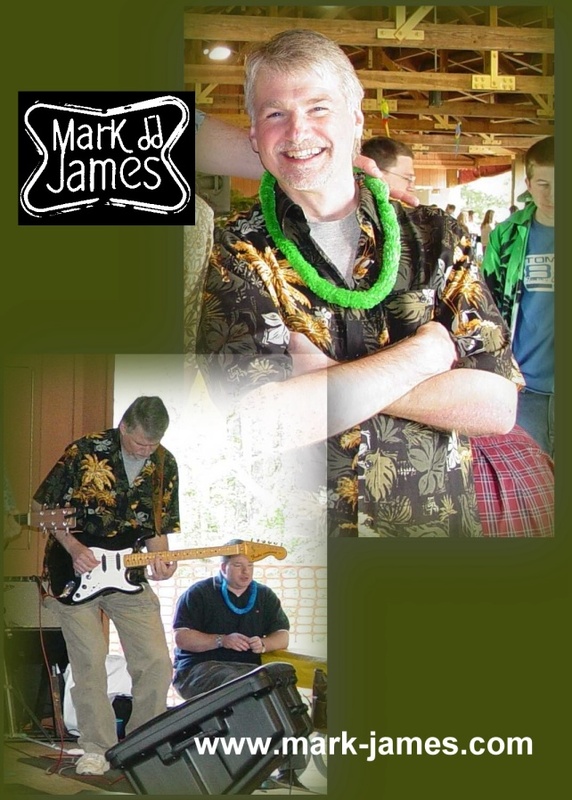 bandstand sale only collection of covers called "Songs I Wished I'd Written"
and a 5 song EP made it to CD titled "Mark James Live At The Stateliner." completed for sale at MOTM in Key West. Q. Is there anything you would like people to know about you? just got him up to sit in with me again at a ski resort gig in February. and you will never work a day in your life" and my feature is "I Feel Good"
I Just Can't Remember It All"